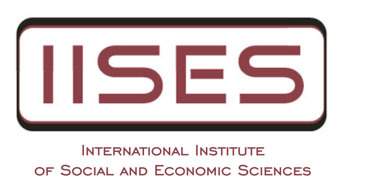 If you wish to apply for publication of your paper in one of the IISES Journals, only abstract can be published in the conference proceedings, as our policy is to avoid duplicate publication. Paper submitted for Journal publication (here) has to be at least 20% different from the one submitted for the conference proceedings. For more details please check Publication Ethics & Publication Malpractice Statement in menu of each Journal. The author(s) authorize the IISES to publish the submitted text and agree with the publisher´s open acces policy. All copyrights remain with the author(s) after the publication of manuscript. The author(s) declare that the submitted manuscript is original work, has not been published in any other journal and is not currently submitted to any other journal. The authors agree with editorial modifications of the manuscript.